Measurement, even without understanding of mechanisms, can be of great importance in and of itself—policy change is frequently based on it—and is necessary if not sufficient for any reasoned assessment of policies, including the many that are advocated for the reduction of national or global poverty. We are wise to remember the importance of good data, and not to neglect the challenges that measurement continuously poses (Deaton 2016, page 1221). This nicely sums up the tone of a previous post, that a conversation about Canadian public policy directed to poverty has not been well served by the confusing and conflicting information provided by official statistics. 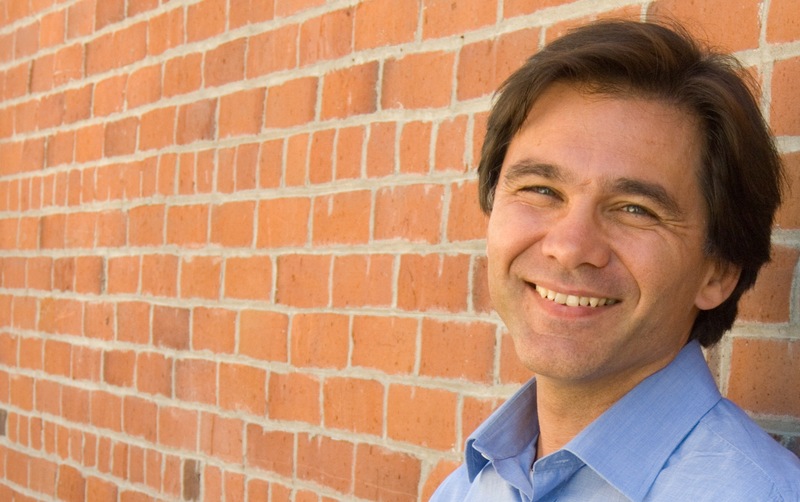 Just how should we measure poverty in a way that is most helpful for public policy? This is reminiscent of the approach to eliminating child poverty used to great effect by the United Kingdom during the Blair-Brown years: define clear indicators, establish goals and benchmarks, and publicly document progress. So a good deal rests on measurement, and the Minister’s first task will be to offer a definition of the poverty rate. However, the challenge is somewhat different from that faced by Gordon Brown when he received a similar directive from Tony Blair: in addressing this issue the Canadian minister must deal with the provinces, some of which have over the years—albeit off and on—put forward specific poverty reduction strategies that are based on their own reading of what is an appropriate poverty statistic. It would be unfortunate if politics enters into this issue in such a basic way, but at the same time understandable. The definition of a poverty line, as my previous post suggests, requires a value judgement to be made, not just with respect to what resources to measure, but also where to set and how to update the line. It should not be a surprise that politicians in a federation as diverse as Canada should have different views on this. But these conflicting views would be more constructively debated if they avoided bureaucratic inertia associated with the imperfections of our existing statistics. The longstanding publication of the Low Income Cut-off by Statistics Canada has given this statistic a “good housekeeping seal of approval” that, whatever its past merits, is currently undeserved, and that weighs down the development of good public policy. Allow me to cite a personal example. The Government of British Columbia publishes, through its Representative for Children and Youth and the Provincial Health Officer, a report on child well-being called “Growing Up in B.C.”, or simply, as the most current issue is referred to, GUIBC – 2015. 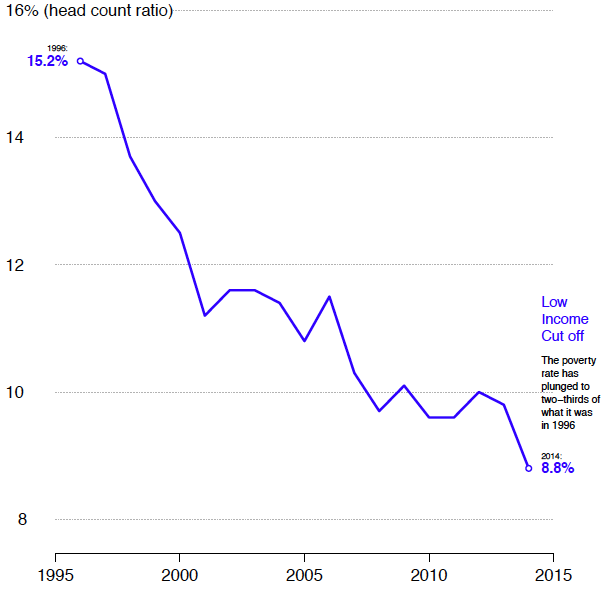 At first look, GUIBC – 2015 seems to indicate that [the risk of poverty] is falling: the child poverty rate peaking at almost 20 per cent in 2003, but steadily falling since, and now hovering at between 10 and 11 per cent. A fall in the child poverty rate from one-in-five to one-in-10 would be something to be applauded if it were credible. Unfortunately it is not. 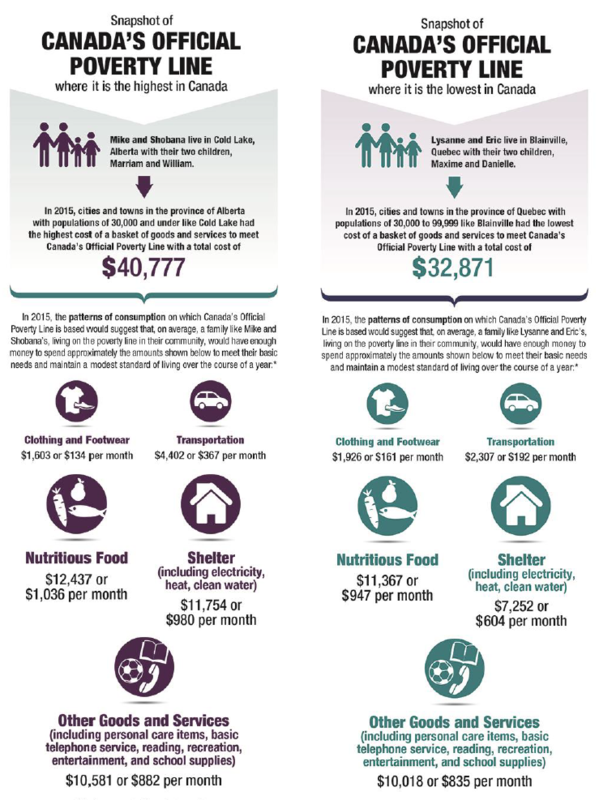 The measure used in GUIBC – 2015 is the Low Income Cut-off, an outdated and inappropriate poverty line that Statistics Canada continues to make available. … It tells us what the child poverty rate would be if children had access to the minimal financial resources required to participate normally in the B.C. of almost a quarter of a century ago. This statistic tells us nothing about what children need to participate fully in the society of today, and how this prepares them for the society of tomorrow. (British Columbia 2015, page 37). It is to their credit that they published my comments in full and without any edits, but they could not resist adding a revealing footnote: “Note: GUIBC – 2015 reports on after-tax low income cut-off (LICO) as a measure of incidence of low income because it is arguably the best known working measure of poverty in Canada, and it allows for comparison with LICO data presented in the 2010 GUIBC report.” In other words, we use the Low Income Cut-off because everyone else does, and because we always have. This is just the type of thinking that needs to be transcended, and which gets implicitly supported by Statistics Canada. As the policy agenda on poverty measurement moves forward, one wonders if this kind of inertia will frame the discussions. After all some provinces have even more at stake in the issue, having articulated poverty reduction strategies and in some cases embodied them in legislation. A constructive conversation would require articulating and defending the set of value judgments necessary to define and regularly update a poverty threshold. In this spirit I put forward the following suggestions, based in part upon Corak (2006) and UNICEF (2005). First, the Low Income Cut-off should no longer be Statistics Canada’s headline measure of low income, nor should the Low Income Measure. I would go so far as to suggest that there really is no merit in continuing to produce the Low Income Cut-off. There is probably more merit in continuing to publish a poverty rate based on the Low Income Measure as it is often used for international comparisons. As such it would be used as a point-in-time estimate, offering a basis for comparing inequality in the lower half of the income distribution across countries but not over time within the country. It should not be a headline measure for Canadian purposes that involve comparisons over time, which is what policy makers need. Rather I would propose that for this purpose these two poverty lines be replaced by another pair: the first to be used as a headline measure for the general understanding of how low income is evolving in the country, and the second for the specific purpose of assessing a government’s progress in meeting a poverty reduction target. Both of these measures make explicit the value judgements governing a regular updating of the poverty threshold. The first poverty line would be one-half of a five-year moving average of median individual (family-size adjusted) income, what we might call a “Moving Low Income Measure.” What it takes to live normally in a society evolves, and there is no hard statistical way of deciding upon the threshold, and how rapidly it should change. But we can rely on rules of thumb that have general agreement. For example, there is a social consensus among Canadians that a Census be taken every five years. For whatever reason we have come to feel that our society changes sufficiently that a new picture is needed at five-year intervals. Five years was also roughly the time interval at which the Family Expenditure Survey was conducted, the survey used to update the Low Income Cut Off before updating was arbitrarily halted in 1992. I suggest a five-year moving average of median incomes on the basis of these precedents. This would allow the poverty threshold to continually change, but at a rate much less gradually than the current annual updating of the Low Income Measure. This said, there is nothing magical about setting the threshold at one-half of the median, though having half as much as someone half way up the income ladder does appeal to a common sense of fairness, of splitting the difference. I imagine one-half of the median being Statistics Canada’s headline measure, but the idea is that in the background a host of poverty measures from 30 to 70% of the median would be offered to paint a full picture of inequality in the lower half of the income distribution. I suggest updating the threshold in a different way for the purpose of setting a specific public policy target for governments, whether federal or provincial. The threshold should be fixed in the year the government takes office at one-half of the average median income during the previous five years. We might call this an “Anchored Low Income Measure,” and it would represent the situation the government inherited, the income patterns associated with social inclusion at that time. The government should be held to account for changes in the poverty rate according to this standard. A worse case assessment of the government’s performance would see it leaving office with a higher poverty rate as measured against the Anchored Low Income Measure; a best case scenario being that poverty is lower both according to this fixed standard, and according to the Moving Low Income Measure (provided that the latter threshold has actually increased over the five years). When a new government comes to office the Anchored threshold would be updated to reflect the five-year median income at that time. Statistics Canada would produce these Anchored Low Income Measures, but not use them as specific social indicators, much in the same way that it produces a core inflation rate for the Bank of Canada, based upon the Bank’s instructions, which the Bank then uses for public policy. Both of these alternatives are improvements over the current low income measures produced by Statistics Canada in the sense that while they are based on rules of thumb in guiding the updating process, these are at least explicit and arguably more reasonable than the status quo. But one further important change would be required to make this operational for public policy: the data would need to be made available much more quickly than they are currently being produced. Statistics Canada releases income statistics with at least a one and a half year lag, and sometimes even longer. There may be operational issues associated with this, but ultimately it reflects a perceived need to release information on all variables in a very detailed household survey at the same time, rather than prioritizing the production of just the high level information needed to produce the poverty line or releasing preliminary numbers that are later revised if necessary, much in the way that National Income Accounts data are released. Ultimately, it also reflects the allocation of budgetary resources to the production of income statistics. In an era when the income distribution was not changing very much, or was not a public policy priority, I suppose it may have made sense to give less budgetary priority to the topic. But that is not the case now. And while it is unfortunate that in writing on income inequality in 2016, I am restricted to using data that extends only to 2014, it is all the more disconcerting that if government ministers wish to set a poverty reduction target, and to regularly report on it, they will not be able to measure the situation that prevailed when their mandate until the mandate is almost half over. (1) The main measure must allow for international comparisons, even if a secondary measure is adapted to specific Cdn conditions for tracking of progress on specific promises. (2) The main measure must be back-cast for many years, not simply started anew. If either of those conditions is not met, then we can be sure that analysis will be far less persuasive for policy purposes, both publicly and within governments. (3) I suggest that the Government needs a broad “public data” or “public evidence” strategy, an important part of which would be increased funding — but only a part. Similarly, poverty measurement would only be one part. Moreover, I emphasize “public” data and evidence: this must not be a strategy designed only by and for researchers; and therefore the strategy should not be designed by Statistics Cda which, unfortunately, has been persistently unable to understand the difference. Thanks for this Andrew. I agree, particularly with your first point. However, I’m not entirely certain what you have in mind in your point 3. What specifically do you have in mind. Perhaps there is scope here for a private non profit to play a role, as a good deal of Statistics Canada data is available free on CANSIM but might need to be organized in a more useful way. Or do you have something much more specific in mind associated with a broader set of government data? I was referring to whomever might design a strategy for “public data” or “public evidence”, not to the data gatherers. i.e. a proposed strategy for the GoC. And I am sceptical that STC can do that design, as compared to some body/ad hoc group better attuned to public policy and to making data accessible to the public. To illustrate from just one instance: STC and expert researchers seem to think that making CANSIM available online is making data accessible to the public, yet CANSIM is remarkably inaccessible, complex, badly labelled, unhelpful, and always has been (e.g. data only in pre-set tables, with highly technical titles). What is required, just from a “public” data point of view, is something more like the OECD has, that allows users to put together their own combinations of data from menus, in their own tables or charts, or something like FRED in the USA (but easier for the non-researcher). By “public” I have in mind anyone who is seriously interested in looking at the data on an issue, but not a researcher by profession nor necessarily just accepting the pre-selected STC “headline” numbers (which are themselves often frankly misleading, e.g. on so-called “average” student debt, or employment data which is for the whole adult population rather than by age group, or indeed a “working age adult” age group which does not separate out PSE-age adults since the large majority of them are in school these days). BTW, a rough start on what sort of additional data we need (publicly, as well as for researchers and policy analysts) would be to go through OECD data and see the many instances where there is no Cdn data. The title should be “Here’s a policy-relevant way to set the poverty line”. Thanks, I’ve made the change. Without getting into the measurement issue, there is the important element of what is the goal? Several years ago, Hilary Graham articulated 3 critical concepts in the field of health equity (but relevant to any social or economic policy field). 1) Remedy disadvantage – an absolute reduction in the rate of poverty to improve the material conditions of the poorest. However, it is possible to do so without actually reducing gaps in income inequality. This is the residual welfare approach that is often favoured by liberal welfare states. 2) Narrow the gap – typically a relative reduction in gap between lowest and next quintile, frequently bending the tail so often seen on income gap grids. Of course, it says nothing about the what is happening to the gaps at the middle and, particularly, at the top. 3) Level the gradient – a relative reduction in income inequality across all income quintiles. Here the focus is not just on some measure of morally acceptable level of material conditions, it speaks to the wider issue of social fairness. It is not at all clear yet what “poverty reduction” means in relation to these distinct concepts. It appears to be remedy disadvantage or, perhaps, narrow the gap. But then, the mandate letter makes reference to children and opportunity. As you know from your work on income inequality and income mobility Miles, poverty reduction is an insufficient policy or institutional condition if the conversation is meaningful opportunity. If the intent is the moral imperative of reducing the most extreme forms of poverty and material difference, then it is a defensible action. But lets not allow the policy ‘lie’ that remedying poverty disadvantage or bending the tail represents opportunity for children except in the most narrow sense of the word (and what research literature tells us).